They're Coming From dark, dusty tombs to deep, forgotten forests, strange creatures, spooky creeps, and frightful fiends that haunt your nightmares are coming But why? Tension builds and builds through 16 eerie illustrations, mounting horribly until a surprising fun reveal at the end of the book. 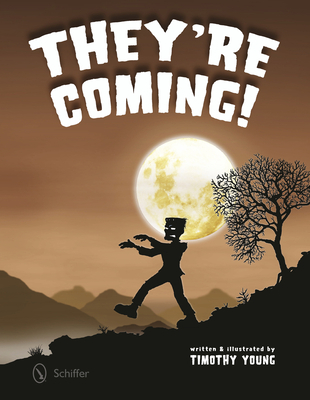 Created in a wonderfully creepy style using silhouetted characters against misty, moonlit backgrounds, author/illustrator Timothy Young both scares and delights the child in all of us. Isn't it time you found out why They're Coming? Picture book-ages 0-6.